Buy Scribblenauts Unmasked: A DC Comics Adventures and get the games download now! 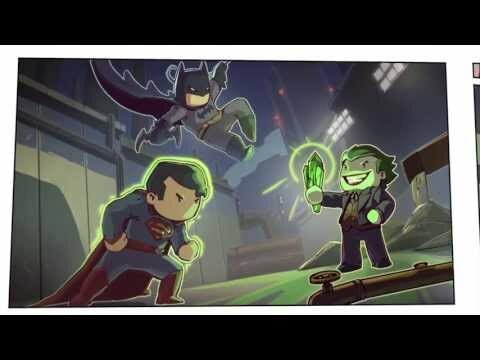 In Scribblenauts Unmasked: A DC Comics Adventure, Maxwell unites with Batman™, Superman™ and the rest of The Justice League™ to restore order to the DC Comics Universe. Challenge your imagination as you battle the mightiest villains in an exciting, action-filled adventure through GOTHAM CITY™, METROPOLIS™, ATLANTIS™ and other iconic locales from the DC Comics Universe. Bring out your inner super hero (or villain!) with the all-new Hero Creator by crafting completely original objects out of parts of existing DC Comics characters. Then assign unique properties to your creations and use them to solve puzzles, or share them online with friends – which they can use in game or further modify as they like.